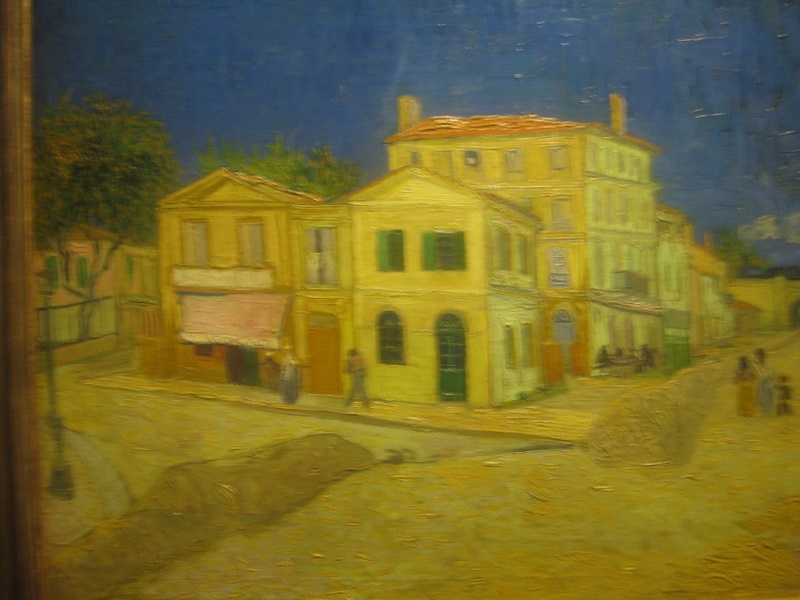 Van Gogh stayed in Arles, which he loved, for just over a year (Feb 1888-March 1898) during which time he produced 200 paintings (many of his most famous), 100 drawings and 200 letters. Arles does not own one single work byVan Gogh. So, the opening of the Fondation Vincent Van Gogh Arles last week was a long overdue and a great plus for the town. The gallery’s first exhibition ‘Van Gogh Live!’ has, as its theme, ‘Colours of the North, Colours of the South’. 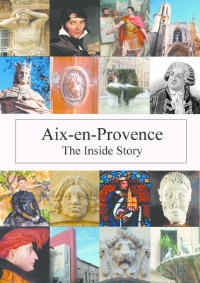 This traces the journey of the artist from his sombre-coloured life in Holland and northern France to his joyous immersion in the colour and light of Provence. Twelve Van Gogh paintings are on show, including fittingly his view of the Yellow House where he lived and worked, part of the time with Gauguin. How sad for Arles that his home was destroyed during the bombing in 1944. 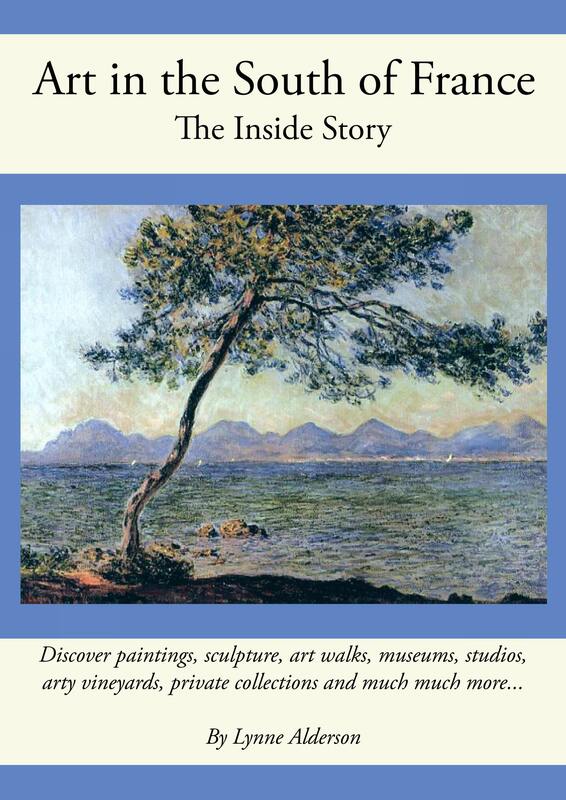 The exhibition has works by key influencers on the artist while he was in Paris – Courbet, Pissarro, Monet and then in Provence, Monticelli. There is also a fine sequence of Japanese prints whose style is so different to that of the Impressionists and was to have a major effect on the painters of the time. Van Gogh wrote: ” and I hope that later on, other artists will emerge in this beautiful part of the country”. 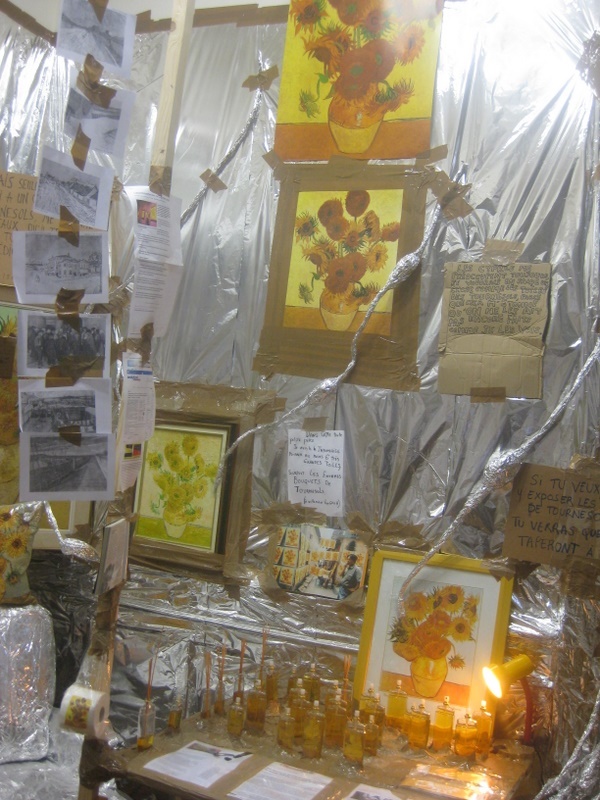 So, modern artists have been given the opportunity to react to the life and work of Van Gogh; Thomas Hirschhorn has constructed an imaginative/creative/slightly bonkers/you decide series of three rooms which are like Aladdin’s caves of Vincent-alia. Apparently Hirschhorn placed himself into the persona of a young Japanese girl, obsessed with Van Gogh, hence the first room like a teenage bedroom complete with Hello Kitty merchandise and Van Gogh paintings; the second is dedicated to sunflowers and rather pretty; and the third shows the commercialisation of the artist – I didn’t know there was a ‘Starry Starry Night’ Barbie or trainers for instance! Quotations from Van Gogh’s letters pepper the installation. 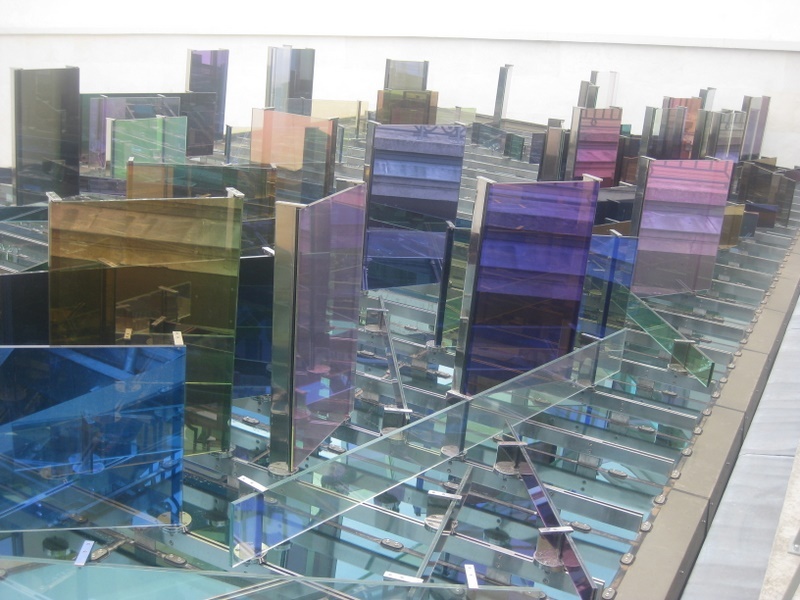 Meanwhile up on the roof, Raphael Hefti has installed multi-coloured glass panels over a translucent section so that the coloured lights shine like a kaleidoscope throughout the gallery foyer. Light is very much the story of this super new gallery. Architects have taken a massive 15th century mansion, preserved its bones, but punched through windows to allow the Arles sun to illuminate the interior. Best of all, you can climb right up, even further, to a roof terrace for views of the neighbouring roofs, church towers, and down below, the Rhone sweeping along to the Camargue. The exhibition ‘Van Gogh Live’ runs til 31st August. It’s open daily 11-19:00. Here is a link to the press kit which gives additional info on the artist, the foundation and the building.